Gardens are definitely one of the areas of our homes that we don’t put as much focus on, unless, of course, we have those green fingers that some people are blessed with. Clutter in our homes can be hard work to overcome, but the garden is actually a breeding ground of clutter just in a different way. I wanted to share with you some of the ways that you could source up your garden, without the overwhelm of too much going on. I hope it gives you some inspiration to make some changes yourself. One of the biggest problems people have when it comes to their gardens is the need to maintain the lawns all the time. It can be something that requires weekly attention if you are not careful, especially if you want to enjoy the great outdoors. But investing in something like LazyLawn artificial grass could be the way forward. A low maintenance garden that always looks ready to use, it definitely could be the ideal way to spruce up your garden with non of the fuss. Sheds are often breeding grounds of gardening clutter and this can really add up. So why not take the time clear the out once and for all. It could be that you need to get rid of old gardening tools, or maybe you have things in your shed that you have been storing, but now is the time to get rid of them for good. Recycling old things, or even selling them online on websites like eBay could be the way forward. Flowers and flower beds more specifically are the biggest place people can feel overwhelmed by their gardens, and that is because you can end up filling them too much. Too many flowers and bushes can mean that instead of looking pretty and manicured, your garden can look overwhelmed and fussy. Instead, choose flowers and shrubs and space them apart. It gives them chance to grow and also helps to make maintenance easier when it comes to things like weeding. Finally, maybe the addition of pots and baskets could be a great feature to your garden without the worry of planting them in your garden. This gives you the flexibility of changing them as and when you want to. Pots on patio or decked areas are lovely to look at, and also easy ways to spruce up a garden. Especially if you have a small budget for this sort of thing. Hanging baskets are also great additions to the front of your home and can add a bit of colour. So there you have it, some of the ways you can spruce up your garden. 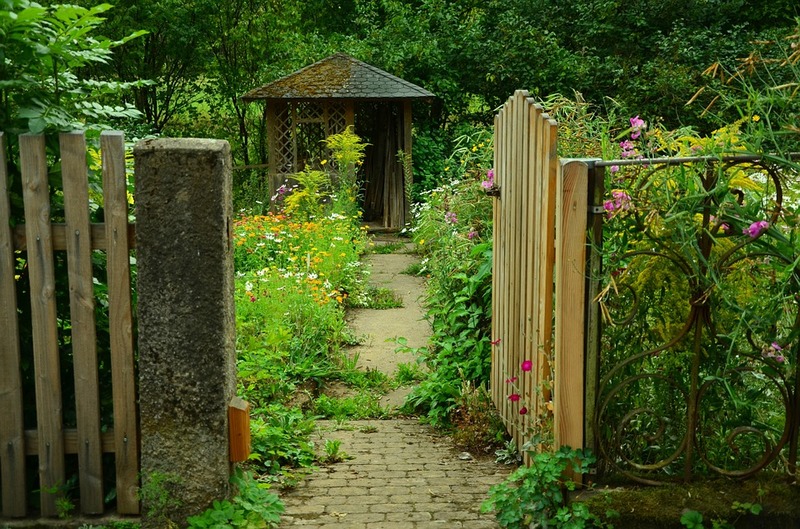 I hope it enables you to enjoy your garden without the need to be constantly either messing with it, or feel that it is getting overcrowded and cluttered once more.